With this particular home that we bought it was from an out of state owner who had tried to sell his house with an agent. They had a little bit of luck, but no one could end up getting financing and close on the home despite the good school district, nice neighborhood and amenities. 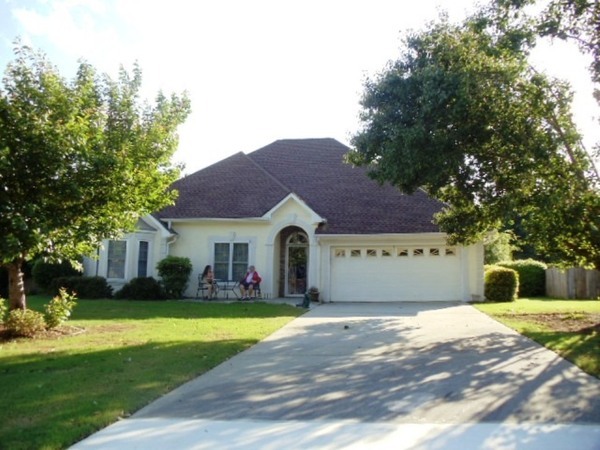 The seller had re-located to Florida to retire and was still trying to sell his home here in Grayson Ga and wanted to sell it fast. However, the market conditions, repairs needed, and the current lending environment made it more difficult. We experience this all the time with traditional home sales. Lenders are still making it tough for borrowers to qualify for home loans and it keeps a lot of properties that are in need of repairs from being sold, since the actual buyers who can qualify are super picky. He had received one of our direct mail pieces that we send out to expired listings and we talked on and off for a few months. Finally, the seller decided that he didn’t want to try and sell for another 6 months since they now had two house payments and just wanted to move on. After a few discussions on the phone, we scheduled an appointment to come out and view the property with the seller. The house was nice, in pretty good condition and had a nice large fenced in backyard, which our buyers would love. We overlook simple repairs such as painting, minor flooring, light fixtures, landscaping and others since we do this business every day. Conversely, buyers looking for a home on the MLS to live in, want a home that is totally repaired, updated and doesn’t need anything. That is the difference, we will buy the property in “as is” condition for a very fair price, and close quickly so that you can have that piece of mind to get moving and shed the house. Traditional home selling can be a hassle if the home needs repairs and updates, since the buyers are going to ask you to fix everything before closing, where we will just buy it as is and do that ourselves. Sitting down at the kitchen table, we worked the numbers with the seller and he was surprised with our offer to purchase. It was basically the same “net” amount he would have received at closing if it would have sold with his agent, and we didn’t ask him to repair anything. Plus, he didn’t have to make any more mortgage payments on an empty house while living six hours away in Florida. A true win/win for the both of us which is our goal on every transaction. If everyone doesn’t part ways feeling a winner, there is no need to do the deal. Now, we have an end buyer in the home who loves the area, school district and the HOA where they can swim and play tennis. This is why we do what we do, the buyer is able to move into the property with affordable monthly payments to us, while we help them get qualified for a loan to purchase within a few years. If you need to sell your home fast in Grayson, or anywhere in Gwinnett or Metro Atlanta, Call us here at 678-278-9595 and we can come out and explain our easy buying process. I hope this blog post helps you understand that we aren’t out to take anyone’s house, just show you the options that you have to sell your home quickly, for a fair price, and on the date of your choice.